Today I may have become slightly preoccupied with the idea of Christmas…I realize it is only early November but I decided its time to start preparing Christmas decorations for my workplace (anything to make it slightly less grey and office like). With some Christmas themed paper and a pair of scissors my Christmas bunting got underway! 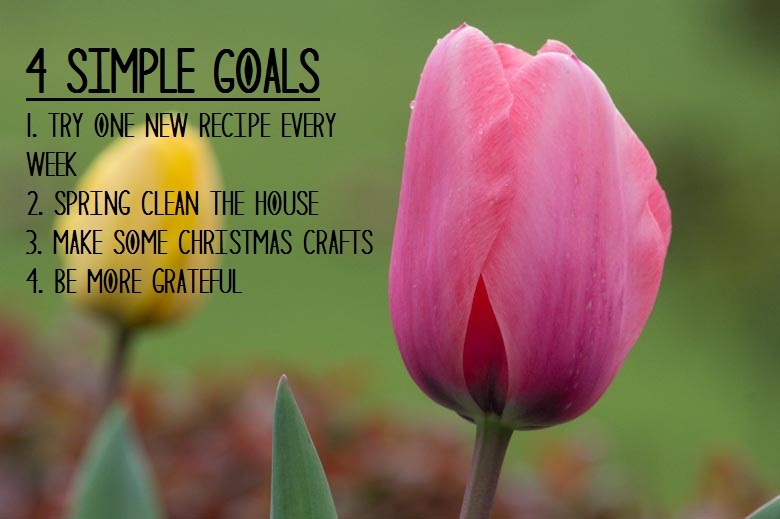 Regardless of my slightly premature Christmas excitement, today I wanted to post on a task that A Beautiful Mess has done the last couple years and I keep meaning to take part (4 Simple Goals before 2014). The idea is to come up with 4 simple goals to try and focus on before 2014 comes along (in case that wasn’t grasped via the rather self-explanatory title). To be honest I am pretty terrible at goal setting (I dread this part of New Years almost as much as I dread waking up after New Year’s Eve) but maybe this slightly less intimidating task will fare better. With the focus on keeping the goals easy to achieve and on small lifestyle changes/trying out new things, I tried to stick to little changes that weren’t negative or too goal orientated. Despite being a little late to the party I enjoyed choosing 4 little areas of focus and I hope to bring little updates in the lead up to 2014 on how it all goes. Pretty self explanatory but I will elaborate on each goal more in a specific update later on. These are small things that I would like to introduce into my life and I look forward to seeing how I can bring them to life. Also check out a lovely blogger Tegania and her 4 Simple Goals (and enjoy her beautiful blog while you are at it). P.s I just have to mention that I am going to the Wicked stage show tomorrow night and I am VERY excited. I have had these tickets for a couple of months now and waiting has been excruciating. P.p.s CHRISTMAS IS 43 DAYS AWAY !! This sounds awesome – Wicked & 4 Simple Goals, that is! I was considering doing the 4 Simple Goals but I kind of ummed and ahhed for too long before I finally decided that I would just keep being overly ambitious and having a zillion of them and fail on more than half… it’s my thing, you see. NaNoWriMo for example, is 218 words completed – out of 50,000. Good work self!